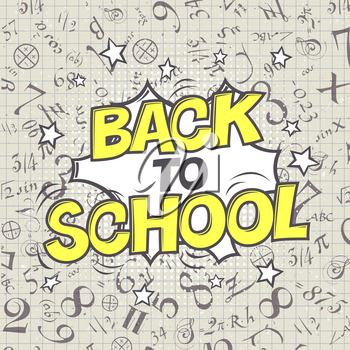 Back to school vector illustration. Formulas background. Comic retro style. Halftone circle element.